Filtration & Separation Newsletter has highlighted a study, entitled The state of desalination and brine production: A global outlook, which has been published in the Elsevier journal Science of the Total Environment. It estimates brine production worldwide to be around 142 million m3 per day, approximately 50% greater than previous assessments. The estimated global fresh water output capacity is 95 million m3 but for every litre of fresh water produced the desalination plants produce approximately 1.5 litres of brine waste. In conclusion, the study recommends improved brine management strategies to limit the negative environmental impacts and reduce the economic cost of disposal. This in turn should encourage further developments in desalination facilities to safeguard water supplies for current and future generations. Waste salt or brine streams are by-products of treatment processes in almost every industry. Today, getting rid of these waste streams can be difficult and costly. With increasing regulations on the quality and quantity of discharge, and the push for zero liquid discharge, costs associated with this waste stream are increasing. Most of the sites that have these unwanted salt waste streams also have the need for use of an oxidant for processing or disinfection. These waste streams are often full of impurities such as calcium or magnesium, making prior electrolytic technologies incapable of converting them into a valuable oxidant in a reliable manner. Insert MIOX’s newest technology, which has the potential to convert even the most contaminated of these salt streams into a usable oxidant. 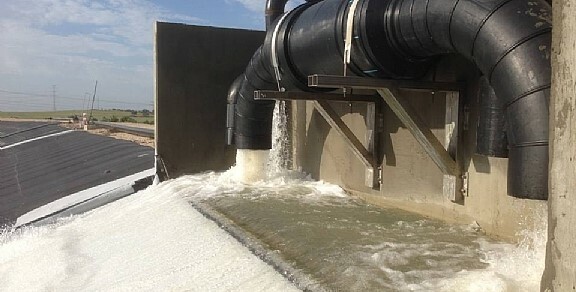 This technology employs a ground breaking self-cleaning electrolytic cell technology which can be tuned to optimize cell life for almost any waste salt stream composition, enabling customers to reduce/eliminate the cost of disposing the salt waste while providing a chemical that they are paying for anyway. In conjunction with a partner, MIOX is currently running a pilot to evaluate whether the technology could be deployed to convert RO brine waste into an oxidant used for cooling tower disinfection. If successful, MIOX’s Waste-to-Value Electrolytic Technology will save the customer substantial costs due to waste disposal and chemical delivery while providing an extremely short ROI for the asset purchase. Full results from this pilot are expected soon. Filcon Filters is proud to be MIOX’s South African distributor.